Are you attending HIMSS19 Global Conference & Exhibition? Be sure to visit our booth #1721 to meet the TW team. The leading health information and technology conference, bringing together 45,000+ professionals from 90+ countries for the education, innovation and collaboration they need to transform health through information and technology – all at one time, all in one place. ThoughtWire is proud to attend this year’s event that will be hosted at the Orange County Convention Center in Orlando, FL. 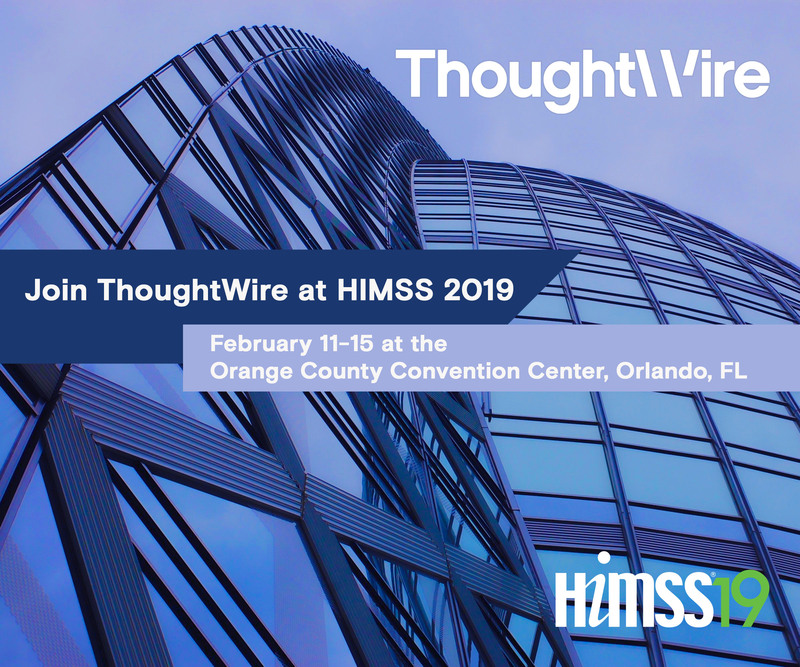 Fill out the form to schedule some time with us before the show to make sure you get to see a full demo of our Smart Hospital Suite applications: EarlyWarning, SynchronizedOps and RapidResponse.